We just bought a collection of pristine 1967-68 Topps Hockey cards and 1968-69 Topps Hockey cards. Most of these hockey cards are going on our site directly, while some of the high grade cards will be sent to PSA. As soon as we get these cards back from PSA, we will let you know how they came back. 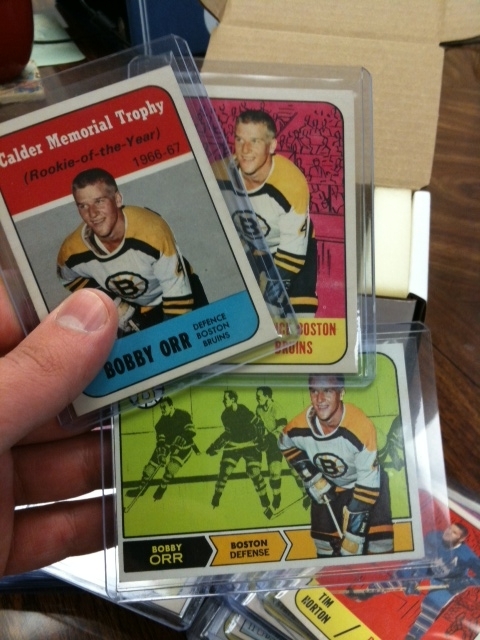 The stars included in these sets are Jacques Lemaire, Bobby Orr, Phil Esposito, and Bobby Hull.